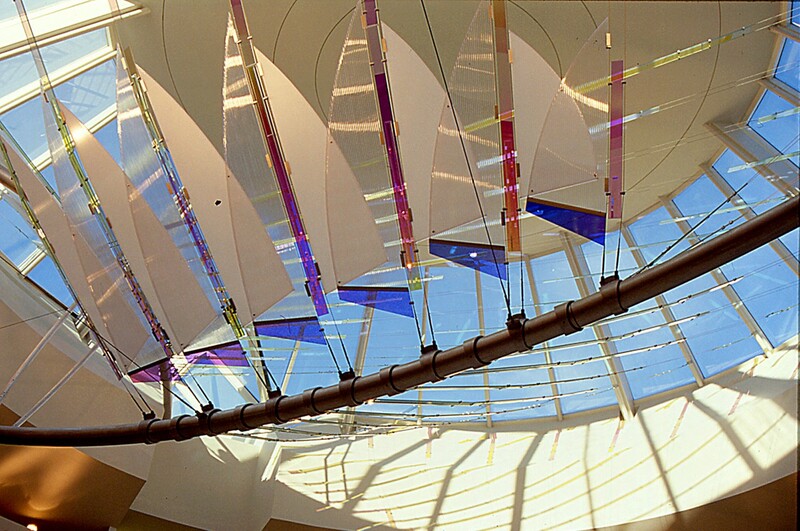 Like luminous wings of a bird, or an exotic flying ship, the sculpture plays beneath the skylight. 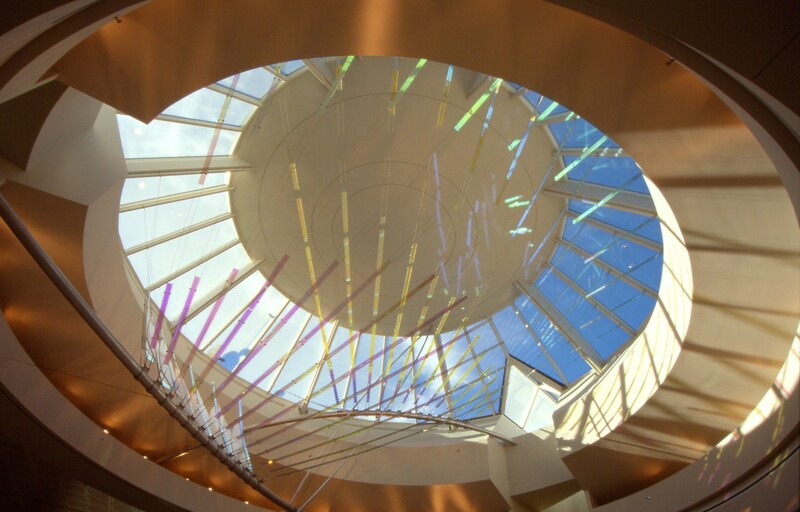 In daylight it projects the sun’s rays in colored swaths onto the floor and reflects moving images over the ceiling and walls. 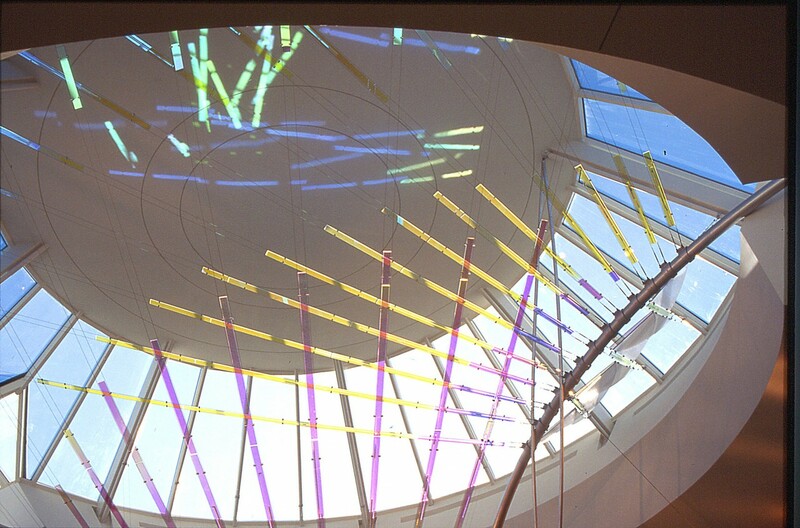 At night, programmed lighting creates mysterious kinetic light paintings. 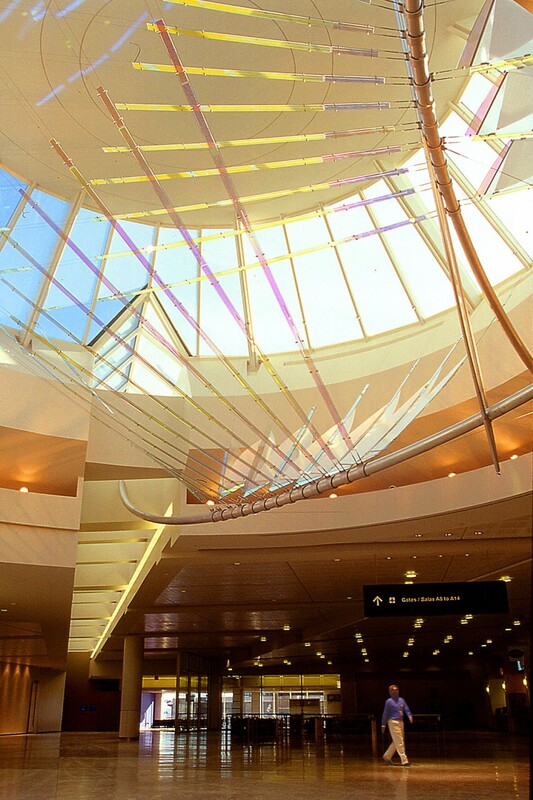 From different vantage points various compositions reveal themselves, offering new views as travelers move through the airport. 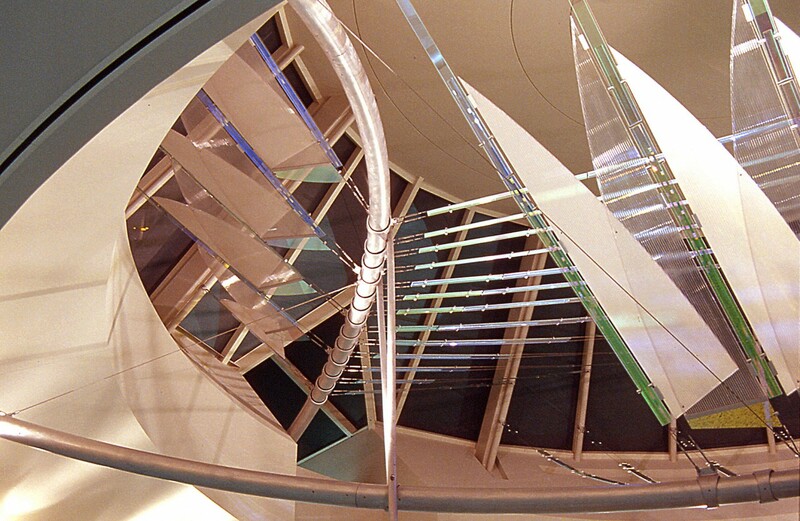 Each visit produces fresh discoveries depending on time of day and year. 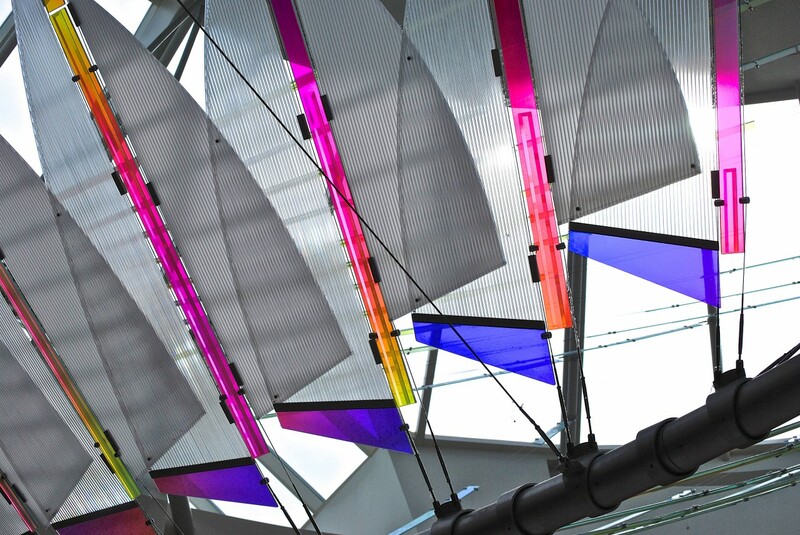 Client: City of Houston Aviation Department in partnership with the Cultural Arts Council of Houston & Harris County. 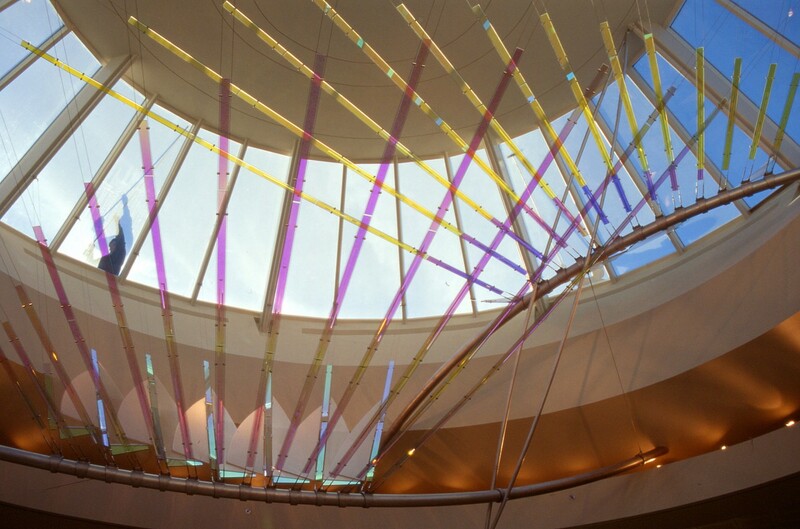 Materials: Laminated dichroic glass, cellular polycarbonate panels, stainless steel hardware and cables, and computerized lighting.